I love blogging (obvs. ), but I love it even more when my readers suggest a topic for me to cover. Today is one of those days. The Uncommon Cliche asked me to write about how I became a full-time editor, and well, here I am to tell you. Long story short: I fell into it. First and foremost, you should love to read, because you’re going to be reading a lot. (And that’s not including your free reading time.) In fact, I spend most of my life reading. I read at work and I read when I get off. It’s a passion of mine. So much so that I found myself reading articles about reading. You could say it’s an obsession. This little obsession of mine eventually pushed me into writing, and writing taught me some harsh lessons about grammar. Harsh, public lessons. This is when I became obsessed with not only reading and writing, but also grammar and punctuation. I wanted to get as much as I could get right, and I wanted to learn even more after that. I wanted to be a professional, and then, I realized I could help others be professional, too. 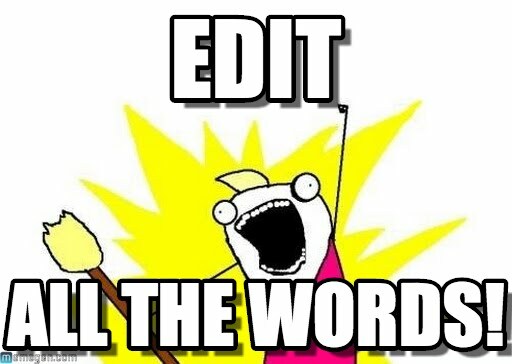 My initial experiences with editing happened in college. I was an English major, and for some reason, everyone seems to think English majors understand grammar…even though they don’t teach you grammar in college. You’re expected to already know it. All of it. So, in a way, being an English major forced me to hustle, and I learned in order to pass. This put me in a place to help fellow students with their papers, and eventually, reading others’ works became a regular, everyday thing. On the side, I started a blog for fun, but this is important. Remember this. I mainly shared writing tips and book reviews, and four months into it, I decided I wanted to pursue publication. My cats help me edit, too. Move ahead to my senior year of college, and I sign with a small publisher. This upped the stakes. Now it wasn’t grades on papers. It was readers and their reviews for products people purchased. On top of that, it was a totally different type of editing with a new demand. As an author, I tried, made mistakes, tried again, and learned. I adjusted. I did what I had to do, and I worked with other editors to learn the more complicated aspects. If an editor wants to take you under his or her pen (er…wing), do it. Offer to be a proofreader or even a beta reader. Practice. Then practice some more. Learn as much as you can. Buy a copy of The Chicago Manual of Style. Study it. Study it again. Follow Grammar Girl and other grammar-related blogs. Talk to as many editors and authors and publishers as you can about what it takes and what they know. Most people are willing to help you, and there’s always something new to learn. When I first started, it was by accident. I was helping authors at my publishing company, and the publisher happened to expand. They needed a proofreader, and I took the gig. I did that for over a year before we went our separate ways and I started my own editing services. (I did this after many hours of research on appropriate pricing for my personal goals and such.) I launched my services via my website, a website I started three years prior. (Told you to remember that.) If you’re doing this independently, have a platform, and if you’re working toward doing this independently, start a platform now. Set your goals, research your audience, and move forward. In my case, I’m still half of the industry standard. Why? Because I went into this knowing I wanted to give Indie authors a bigger chance. I mainly wanted to create a place for people to go if a previous editor didn’t turn out to be all they were cracked up to be. The other aspect I decided to focus on was having “no limits.” While many editors do, I don’t deny work because of controversial topics or scenes. I’m not here to judge; I’m here to edit. I understood the market and the average buyer’s budget, and I set out to help them. I make just enough for me, and I’m happy. I love reading the works of my fellow writers, and I love it even more when I see the readers fall in love with their work too. Being an editor isn’t easy. My eyes hurt, my wrists ache, and my migraines stay well into the night. But it’s worth it in the end…especially when you love to read. If you follow my newsletter, you just received an exclusive sneak peek of Bad Bloods! For future opportunities, sign up today by clicking here. My weekly Twitter series #AuthorinaCoffeeShop will take place this THURSDAY at 7 PM CDT, since I’ll be out of town on Friday. I hope to see you then! Come get your books signed on February 13, from 1-3 PM during the Barnes & Noble Valentine’s Day Romance Author Event in Wichita, Kansas at Bradley Fair. Come meet Tamara Grantham, Candice Gilmer,, Jan Schliesman, and Angi Morgan! If you haven’t started The Timely Death Trilogy, don’t worry. Minutes Before Sunset, book 1, is free! Me Talk Pretty One Day by David Sedaris demanded my attention simply from the title. Despite working with the English language every day—both as a writer and as an editor—I have difficulty speaking. I stumble and stutter a lot. Perhaps this is one of the reasons I worked so hard to master the written language. I was making up for another aspect of the language I didn’t excel in. Looking back on it, I blamed moving around a lot as a kid—mixing up accents and phrases and idioms—but I don’t have much blame anymore. In fact, I’ve rather embraced this awkward part of myself, and it no longer bothers me like it used to. While most people around me avoided bringing it up a few years ago, it’s now a common joke. “Okay. English major.” “Aren’t you the writer here?” Both phrases I now hear on a regular basis, paired with laughter and a “Yeah. yeah. I get it.” It’s an accepted part of my life now, something I don’t fight, something I realized most people look past anyway. I was the one judging myself. On a drive back from the grocery store, I saw Venus and Jupiter in the sky. I am a HUGE space nerd—probably due to Sailor Moon—so I started rambling about how new information on Pluto released, discussing spots on the surface, and NASA was speculating what could’ve caused it. That’s when I came across the word “meteors.” The problem was simple. I had just finished talking about how Meg Cabot’s final book in the Mediator series was coming out and now I had to say meteor? It wasn’t happening. I stumbled for three minutes. Eventually, it turned into a giggle fit. I know the words. I know how to say the words. I just can’t explain why it doesn’t come out that way. But I think the saddest part is when people can no longer take you seriously when you stumble over a word or two. In all honesty, I haven’t had that problem much. In fact, I think I simply worried that it would happen, so I stayed silent. My speech class in college got me over that fear. If I can say this without bragging, I got a big ol’ A in that course. (I know. I know. It’s speech class. But it meant the world to me. In fact, it meant Pluto, Jupiter, and Venus to me.) Up until that point, I thought there was no way I could succeed as a writer with a pronunciation issue like mine. What was I supposed to do if I ever booked a signing where I had to read a chapter out loud? The horror! What happens when people think I couldn’t have possibly written the words if I couldn’t speak them? Double horror! How do I explain myself? …I just died from horror. These are all words I avoided saying out loud. All words I’ve used in stories a hundred times. All words that are, no matter what, precious to me. Two moments, two poetry readings, I overcame my fear. “Emma Saying” on YouTube and “How To Pronounce” are two websites I use on a regular basis to practice. I don’t avoid words anymore, but I still stumble, and I imagine that’s just a part of me that makes me me—a character in my own right—a writer who stumbled over her love for words. Minutes Before Sunset releases in 6 days. 6 DAYS! We’re less than a week away, and all of your support matters. You make a difference in my life, and for that, I thank you. ANDDDD don’t forget. CTP’s Midsummer Magic Prty is on July 30, from 7-9 p.m. on Facebook. You can win paperbacks, jewelry, and more – all by playing games. You know I’ll be there. :] OH! And I started a newsletter, so feel free to click here to sign up. You’ll get to win more prizes! Get excited! More information to come. The title is – obviously – a little misleading. Editing is always necessary. As a full-time writer and an editor, I can promise this from both ends, but – as the title also promises – there is a specific time period during the writing process where I don’t suggest editing. If I had to be more accurate, I suggest not worrying about editing. This time period generally covers the very first draft, especially if this is the first novel a writer is attempting. Why do I suggest avoiding editing at this stage? There are a number of reasons I tell writers to calm down and just write, but it mainly consists of the fact that editing can become extremely overwhelming. 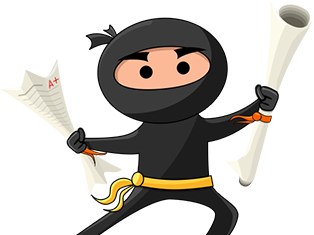 It demands a lot of focus and time – and it’s normally a whole lot less fun for a writer than writing – so I always suggest getting that first draft down before worrying about pesky commas and subject-verb agreement. For now, concentrate on world building, symbolism, and overall character development. Get some eyes on your work. Try to connect with a couple beta readers. Join a writer’s group, and listen to suggestions. If you get stuck, ask for more help, but getting that first draft down is all that matters in the beginning. Once that is down, edit for yourself, but always – always – hire an outside editor (preferably – and by “preferably” I generally mean “always” – an editor who is not related to you). I would even go so far as to suggest hiring an editor that is not in your writer’s group, not one of your beta readers, and not associated with your first draft. Why? Because I cannot tell you how many times I’ve heard, “I’ve had so-and-so and this-many-people-read-it. They didn’t see any mistakes, so I think it’s fine.” But when I open the file, it’s easy to see how much help they truly need. I want to take this heartfelt moment to clarify how I went through this myself. As a novelist, I made all the mistakes any writer could make. In fact, if you read my recent post, The Reader’s Reaction, then you probably guessed the editing in the original November Snow was quite disastrous…and it was. Granted, the Indie market was much different back in 2007, and I was a child, but I will never forget that lesson. There are no excuses for disastrous editing. So, I am no exception to any of these mistakes. I had friends read it and tell me it was fine. I even had adults read it and tell me it was fine. It wasn’t fine. They were sparing my feelings, but in the end, the disaster had to happen, and it happened very publically because people wanted to protect my feelings, and honestly, someone else protecting your feelings is the easy part to overcome. The harder part is overcoming ourselves. As writers, we have to stop protecting our own feelings. We have to be able to step back from our work, constantly and openly. We have to be okay when we work with an editor and see red marks all over the Review format in Word. We have to be able to breathe when we receive a bad review or even a review that is factually incorrect. We have to be able to laugh at ourselves when we even know we made a mistake, our editor made a mistake, and now, it’s out there. Mistakes will always slip through, and we have to find a way to accept our human self as the same self that wrote a novel. The author self is not separate, and our emotions won’t be either, but knowing when to worry, when to laugh, when to celebrate, when to write, and when to edit is unique for every author, and it is also important for every author to know about themselves. Everyone will write differently. Everyone will edit differently. My advice isn’t set in stone or carved into a cave or propped up anywhere aside from on this little computer screen. It’s just my advice. It works for me, it worked for me, and it continues to work for me, but it took me years to figure out what “writer me” needed and wanted to move forward in the most productive way possible, and I still learn every day. I only think sharing what we learn with others is what can help us all in the end. Who knows? Maybe what I do will work for you or maybe something you do will work for me. It never hurts to try something new, and I’m always open to suggestions. That’s the writer and the editor in me. I listen. I learn. I continue moving forward, and I share my lessons along the way. 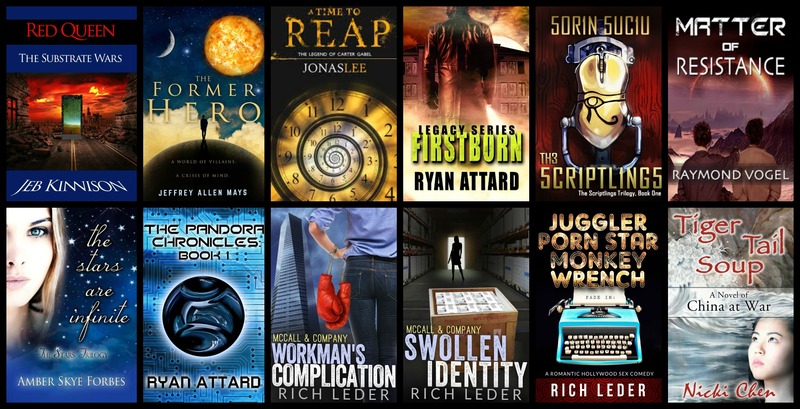 I am very grateful for the authors and writers I work with every day. Their work is both inspiring and exciting, and I, too, feel like I am gaining more friends to laugh, write, and speak with.